Gilbane Conference San Francisco 2010 speaker biographies. Brooke Aker is the CEO of Expert System USA, a leading semantic technology firm, and is a long standing speaker and writer in the areas of Competitive Intelligence, Knowledge Management and Predictive Analytics. Mr. Aker is a serial entrepreneur having formed both Acuity Software and Cipher Systems and was a member of the Intelligence practice at The Futures Group/Deloitte Consulting. Mr. Aker has worked with over 130 of the Global 2000 in the formation and operation of successful intelligence, KM or analytics units at such companies as Procter & Gamble, Johnson & Johnson and Petrobras. He has conducted numerous workshops and given speeches at SCIP, Knowledge Management and Strategy conferences. From 2000 through 2002 Mr. Aker wrote the Competitive Intelligence Magazine column entitled “100 Ways to Beat Your Competition”. His technology development of intelligence / analytics systems have been recognized by and won awards from IBM, Strategy Magazine, and Fuld & Co. Mr. Aker earned a MA in Economics from Boston University and a BA in Economics from the University of Vermont. Steven Alessi is the VP of Advertising Sales and Operations at American Greetings Interactive. He has over 10 years in the interactive marketing space and 19 years of sales experience. At American Greetings, the $2.0 billion greeting card company based in Cleveland OH, his primary role is managing advertising sales and operations for all of the interactive properties. His mission is to constantly look for ways to engage consumers through creative messaging and analytics that create brand interaction, endorsement and purchase intent for advertisers. At Advertising.com he held roles as Director of Technology Sales and Regional Sales Director. He earned his BS in Mechanical Engineering from Villanova University. Rahel Anne Bailie is a content strategist with a skill set that encompasses requirements and content analysis, content management consulting, and information architecture. She has operated her consultancy, Intentional Design, since 2002, helping clients analyze their business requirements and spectrum of content to get the right fit for their content development and management needs, and facilitates transitions to new business processes, content models, and technology implementations. Rahel was elected Fellow of the Society of Technical Communication in 2009, and founded the STC Content Strategy SIG. She also holds memberships in related professional associations such as CM Pros, IAI, UPA, and the Internet Strategy Forum in order to keep current in pertinent practice areas. Deane Barker has been working in content management since before it had a name. As content management practice director of Blend Interactive, Deane manages integrations at all levels of complexity and has been integrating content management systems for over a decade. Since 2002, Deane has blogged about content management and related topics at gadgetopia.com. Deane’s passion is content modeling – the underappreciated art and science of wrapping specific content management systems logical domains of content. Laura Bellamy is an Information Architect at VMware, Inc. She has been a long-time DITA champion, working at IBM during the adoption and proliferation of DITA. Throughout her career she has worked on every facet of DITA implementation from the migration of many product libraries, to the creation of several specializations, the management of conversion projects, development of reuse strategies, and handling content releases. Aldo transitioned WebEx to OpenSource, and is an experienced speaker with over 10 years CMS experience in companies like Cisco, HP, Mercury interactive, PeopleSoft, and Adobe. Geoffrey Bock is a Senior Analyst for the Gilbane Group’s Collaboration & Social Computing Consulting Practice. He focuses on a broad range of collaboration technologies, including enterprise applications of wikis, blogs and other social media. An analyst and author with over twenty- five years industry experience, he tracks how organizations create, organize, and manage business information to sustain profitable relationships. He advises software companies, end-user organizations, and government agencies in areas of business planning, technology innovation, and operational excellence. Senior Lecturer, University of Washington iSchool & President, Metatorial Services Inc.
Bob Boiko is founder and president of Metatorial Services Inc., and is a faculty member of the University of Washington Information School. In 2004, Bob sparked the creation of CM Professionals, the first and only content management organization for practitioners. Recognized world-wide as a leader in the field of content management, he has almost 20 years of experience designing and building Web, hypertext and multimedia systems and tools for some of the world’s top technology corporations (including Microsoft, Motorola, and Boeing). Bob has sat on many advisory boards and is the recipient of many awards including the 2005 EContent 100 Award for leadership in the content management industry. He is author of two editions of “The Content Management Bible” and the upcoming book “Laughing at the CIO: Leading Information Management in the Information Age”. Bob is internationally known for his lectures and workshops. Tony Byrne is Founder of CMS Watch, a vendor-neutral technology evaluation firm. A former reporter, publisher, international educator, Byrne previously headed the Engineering and Production groups at an Internet consulting firm. He is the author of The CMS Report, and publisher of the Enterprise Portals Report, the ECM Suites Report, the Web Analytics Report, and the Enterprise Search Report. Arje Cahn is a frequent speaker at international conferences on subjects such as content management, open source and XML. Recent conferences Arje participated in as a speaker include Devvoxx and ApacheCon. Arje is CTO and co-founder of Hippo (Amsterdam, San Francisco). He runs the Hippo open source team at www.onehippo.org, which aims to turn cutting edge open source technology into robust content management and collaboration software. Arje has earned his merits in the open source world within the Apache Software Foundation, where he is a committer on the Apache Cocoon project, as well as a member of the foundation, and is involved in the organization and promotion of the ApacheCon conferences. He shares his thoughts on content management and open source on his blog at . Gerry Campbell is CEO of Collecta, a leading real time search site aggregating social media content from the major social networks. Prior to joining Collecta, Gerry was President of search & content technologies for Reuters, SVP of Search for AOL LLC, and led commerce strategy for AltaVista Company. Most recently, he has been an angel investor and advisor to notable early-stage companies, including Summize (acquired by Twitter), Tweetdeck, StockTwits, Outside.in, OpenCalais and Betaworks. Mr. Carton is Vice President of Content Technologies for Retrieval Systems Corporation. He has over 30 years experience in information systems development with special expertise in the technologies of the publishing and library sectors. He couples strong requirements knowledge with best-of-breed technology development skills to create content-centric solutions. At RSC, he is responsible for design and development of complex repository management solutions for publishing clients, and for research and development into the company’s CMS product “Tractare”. Retrieval Systems Corporation (RSC) is an established software services company with a well-earned reputation for delivering successful content management and publishing deployments on time and under budget. Our customers include professional publishers and other public and private institutions with significant content management and publishing requirements. As a thought leader in content management and delivery systems, RSC has been recognized by The Gilbane Report for its leadership in blending commercial off the shelf (COTS) and open source components to provide high impact low cost content management solutions. Nick Carr is AvePoint’s U.S. Sales Manager – Pacific Region, and works from the company’s San Jose, CA office. Having worked for many years with enterprise-level Microsoft SharePoint deployments, Nick has a long record of ensuring seamless integration of AvePoint’s solutions into complex, large-scale environments. His knowledge of SharePoint backup and management strategies has earned him multiple speaking opportunities within the SharePoint community and at technical tradeshows and events. In addition to managing AvePoint’s OEM relationships with IBM and NetApp, Nick’s clients include Eli Lilly, Pfizer, and Booze Allen Hamilton. As the Director of User Experience, Melissa leads a team of web strategists, information architects and content strategists whose focus is helping clients create and protect their competitive advantage online. With 12 years of experience as a web strategist, information architect, project manager, and instructional designer, Melissa can get a lot done in a day. Comfortable in both corporate and agency environments, she’s helped leading companies (including HP, Microsoft, Comcast, MTV and The Pampered Chef) add stickiness to their sites and takes great pride in creating experiences that keep users aware, informed and connected-yet-autonomous. Melissa holds a BA in Clothing and Textile Design from San Francisco State University and an MBA from the University of Oregon, and is a member of the Portland, OR chapters of CHIFOO and IxDA. Sridhar (Sri) Chilukuri has more than 20 years of experience in software business and product development. In addition to his extensive management experience with P&L, business development, product marketing and engineering functions over the years, Sri has built a reputation for innovation and imagineering. Prior to founding Content Circles, Sri was Director of Strategy, Marketing and Business Development for the DocuShare Business Unit, Xerox Corporation’s enterprise content management software business unit. In this role, Sri helped transform the business into a profitable, competitive venture. Prior to Xerox, Sri co-founded Bellamax, a provider of consumer digital photography services, and was Director of Business Development for VA Linux Systems. He also has held various positions in Adobe’s Acrobat and PostScript businesses for 8½ years including the position of General Manager of the Information Appliances Group with complete P&L responsibility. Sri received an MBA and an MS in Computer Science from Santa Clara University. Dr. Donna Cuomo is responsible for the enterprise advancement of social, collaboration and knowledge systems and enterprise information architecture. She is currently working on MITRE’s social networking/social media strategy, is deploying social media tools for the enterprise and assessing their business value. She received her Masters and PhD degrees in Industrial Engineering from State University of New York at Buffalo, where she majored in Human Factors Engineering/Human-Computer Interaction. Laurie E. Damianos’ interests lie in user centered design, evaluation methodologies, and collaborative technology. She received degrees in biology, computer science, and mathematics from Carnegie Mellon University. Her recent efforts include deploying enterprise prototypes for social bookmarking and business networking. Cofounder and Principal Consultant, Allyis Inc.
Ken Efta is cofounder and principal consultant of Allyis Inc., a consultancy focused on the development and adoption of 2.0 technologies and practices within the Enterprise. Ken has spent over a decade conceptualizing, designing and building enterprise solutions for clients. His expertise in Web content management, data quality and business intelligence, and social software and collaboration tools is renowned in the technology industry. Ken has experience applying social solutions in health services and leads Allyis’ technology innovation efforts. Ken was recognized by Western Washington University, along with Allyis co-founders Richard Law and Ethan Yarbrough, as its inaugural “Young Alumnus of the Year” in 2007. Ken holds an M.A. from Western Washington University. Michael is responsible for Alterian’s sales and marketing activities in The Americas. Michael has been a pioneer in relationship marketing over the past 15 years, building a strong reputation of leadership, sales growth and customer satisfaction. Before joining Alterian, Michael served as Vice President and General Manager of the financial services group at Epsilon, a leading relationship marketing company. Prior to his tenure at Epsilon, Michael was Senior Vice President of Sales at DoubleClick (formerly Protagona Worldwide) for their Marketing Automation software solutions. Additionally, Michael was instrumental in developing what is now known as DoubleClick’s Ensemble suite for the banking and insurance industries. Rounding out his experience, Michael held various sales and consultancy positions at Unisys Corporation, a leading global technology and services company. Christian and his team lead Microsoft’s vision, business strategy, and global marketing efforts for Microsoft SharePoint, SharePoint Foundation, and SharePoint Workspace, some of the most widely used collaboration products in the world. Christian is the executive sponsor of the well-respected FastForward blog. Christian frequently speaks with customers, analysts, press, and at industry events. A twelve year Microsoft veteran, Christian has over 15 years of varied experience in the collaboration field including positions in consulting, marketing, solutions development, learning, channel management and sales. He holds a Bachelor’s degree from Harvard University. Eric Freese is a veteran of publishing production optimization. From the early days of SGML, he has worked in roles as varied as consultant, software developer, content architect and semantic web technologist in industries including defense, technical publishing, commercial software and legal publishing. In his role as Director/Solutions Architect, Eric helps Aptara customers efficiently transition to cost-saving digital publishing models that simultaneously support eBook and other electronic delivery platforms, as well as traditional print production. Emmanuel has 13 years of international general management experience within the software and Content Management industry, working in the US, Europe and Asia. Before joining Jahia, Emmanuel was the Vice President, Digital Publishing and CRM Solutions for Boston–based Houghton Mifflin, a leading US publisher. During his tenure, Emmanuel defined and implemented the Digital Publishing and CRM projects for Houghton Mifflin and its divisions, managing and co-ordinating a staff of up to 100 people. With his team, Emmanuel allowed Houghton Mifflin to dramatically improve its publishing efficiency and extend its offering to Digital goods, leveraging cutting edge Content Management and eCommerce technologies. Prior to Houghton Mifflin, Emmanuel hired and led the presales team for Reef North America, a Web Content Management company. Before moving to the US, he also worked as a Financial Controller for L’Oreal in Shanghai and as a consultant for IBM Global Services in Paris. Emmanuel is French and American and holds a MSc in Engineering from the Institut National Polytechnique de Grenoble (France), a MSc in Economics & Finance from Science Po Grenoble (France) and a MBA from Insead -delivered in the US (at the Wharton Business School), Europe and Asia. Chip is responsible for managing client deployments of the Trisoft Component Content Management Solution using DITA as a content model. Chip has over 20 years experience in successful deployments and enjoys working closely with clients to develop and deploy a solution. He is a frequent speaker at DITA and CCM conferences and received his Bachelor’s degree in Graphic Arts Technology with a Business Emphasis from Northern Illinois University. Mr. Ghahtani has over ﬁfteen years of Software and Consulting Sales, IT Project Management and Client Engagement Management Experience (including Internet, Extranet, Enterprise Portal, and Web 2.0 Projects). During this time, Mr. Ghahtani has successfully demonstrated the ability to understand and paint the “big picture” as well as identifying and resolving key issues. Mr. Ghahtani has excellent experience in deﬁning project scope, creating timelines, resource assignment and managing budgets. President & Founder, Gilbane Group a division of Outsell, Inc.
Tom Goering has over 20 years of experience in technical communications. He has been at various times a writer, editor, manager, production engineer, graphic artist, and typesetter. He worked for Lotus, and then IBM after they acquired Lotus, before joining Neuron Data. Neuron Data morphed into Blaze Software, which was acquired by various larger entities before finally ending up as part of Fair Isaac. He currently manages a team of writers responsible for documenting various decision management tools, and is leading the DITA adoption project. Jen Grant is responsible for leading brand strategy, sales marketing, public relations and product marketing. Prior to Box.net, Jen spent four years at Google where she was head of marketing for the Apps team. She also built the marketing, education and outreach strategies for Google Apps Education Edition and Google Book Search. In 2007, Jen received a Google Founders Award – the most prestigious award offered at Google. Prior to Google, Jen was a product manager at Stata Labs, which was acquired by Yahoo in 2004, director of marketing at Thin Multimedia, and a co-founder at DealMaven, which was acquired by FactSet in 2008. Jen received her MBA from Wharton and earned her bachelor’s degree from Princeton, and in 2009 was named one of Silicon Valley’s 40 under 40 by the Silicon Valley Business Journal. Carl Grimm heads enterprise strategy at New Idea Engineering focused on best-of-breed, novel and emerging technologies related to information retrieval. His active projects include the application of machine learning and collaborative filtering as an alternative to term frequency-inverse document frequency based relevancy systems. Prior to NIE Carl specialized in user experience design as the Creative Director of Interactive Media at Firebelly and he has also held senior management positions in the enterprise search and financial services sector. A graduate of Miami University, Carl holds his Bachelors of Science in Business Administration. David R. Guenette is Senior Analyst at The Gilbane Group, within the Content Strategies and Technologies Practice. He has extensive experience serving the connected content market with strategic technology and business development research, analysis, and editorial content. David’s special focus is on digital rights management and the editorial process within electronic publishing. David has over 30 years publishing experience, including as acquisition and developmental editor in educational, trade, and professional resource books, and in top editorial positions for magazines and multimedia such as eMedia Professional. Irina Guseva is a CMS evangelist and Senior Editor at CMSWire.com – the industry’s most popular news source on WCM, ECM, DAM, DM, Enterprise 2.0 and other facets. Guseva also consults for SDL Tridion. She also has several years of experience in independent CMS consulting, working on a wide range of projects from CMS selection to CMS implementation. Guseva has over 14 years of experience in content management and Internet technologies. It all started years ago with linguistics, newspaper and broadcast content creation and management, and online publications, where she worked as a reporter, radio DJ, TV host and online content strategist/manager. Guseva holds a BA and MA degrees in Roman-Germanic Linguistics and Literatures from Tomsk State University, and an MA in Journalism/Media Management from the University of Missouri-Columbia. Marc Haines is a Senior Architect at Ictect, Inc. – the intelligent content company, helping organization to answer their markup challenges with Ictect’s innovative technology for content markup and processing. Marc has more than 10 years experience in enterprise system integration and content management systems development. Currently he is working with government agencies to enhance their content processing and dissemination capabilities. He is also a certified SAP consultant and Associate SAP Enterprise Architect. His academic work on enterprise systems, service-oriented architecture, and project management has been published in international journals and industry publications. As a member of OASIS, he has been contributing to international open standards development related to Web services and the semantic Web. Neal Hannon is a senior XBRL consultant based in Manville, RI. The consulting practice has helped companies understand the SEC XBRL mandate and has helped software companies introduce XBRL solutions into the marketplace. Hannon was the Director, Financial Reporting Technologies for the Financial Accounting Foundation (FAF). The FAF provides oversight and funding for FASB and GASB. Hannon played a significant role at FAF to organize and support the US financial community to improve the US GAAP XBRL taxonomy. Prior to joining the FAF, Hannon was a member of the accounting departments at the University of Hartford and Bryant University. In addition, Hannon has held various controllership positions with companies such as United Technologies and Monsanto. Hannon has authored over 60 articles and dozens of blog postings on XBRL. He has presented XBRL at national and international conferences since 2001. An active member of the XBRL consortium since 2000, Hannon served as the first education committee chairman and was a member of the first XBRL US steering committee. Active in the IMA for over 25 years, Hannon served on the IMA’s national information technology committee, chairing the group from 2004 to 2006. He also served on the IMA’s board of directors (2001-2006) and the IMA’s executive committee (2004-2006). Currently, Hannon is a member of Financial Executives International (FEI) and technical advisor to the FEI’s committee on Finance and Technology. Larry Hawes is Lead Analyst, Collaboration and Enterprise Social Software at Gilbane Group. He manages that practice’s research agenda and projects, conducts specific research projects, and authors and publishes related findings. Larry consults with software vendors on product roadmap development and go-to-market strategy, and with end user organizations on technology selection and deployment strategy. He also speaks at Gilbane Group conferences and events sponsored by other organizations. Larry is a nationally recognized expert on the application of information management technologies to drive high-value business transformation. His work is focused on collaboration and knowledge management practices in the technology domains of enterprise social software, unified communication and collaboration, enterprise portals, document and content management, and business process management. In addition to his contributions to the Gilbane Group Blog, Larry’s thought leading opinions have been published in Wired, InformationWeek, C/Net, eWeek, Upside, CFO, and other publications, as well as on his blog (http://lehawes.wordpress.com). Prior to joining Gilbane Group, Larry was employed by IBM as a collaboration and knowledge management consultant primarily serving federal government clients. Before that, he distinguished himself as an analyst, consultant, speaker, and educator at the Delphi Group. Larry holds degrees in music from the University of Wisconsin-Whitewater and the University of Michigan. He earned the MBA degree at Babson College, with honors. Amy Hills is the Manager of Technical Communications for Xilinx, the leading innovator of complete semiconductor programmable logic solutions. Amy’s role relies heavily on her extensive marketing experience to develop and implement innovative ways to optimize technical content development and delivery, based on both the product lifecycle as well as the customer lifecycle. She has held a variety of senior product marketing and management positions at Xilinx, Intel, Advance Micro Devices, ASK Computer, Gartner and Competitive Strategies. Amy holds a B.S. degree from California State University-San Jose. Ed has over 20 years of experience in the software industry with deep experience in the search technology sector. Since 2004, he has helped to grow SLI Systems into the market leader in ecommerce site search. Currently, Ed is responsible for business and corporate development at SLI. Previously, Ed was senior director for Infoseek’s software unit Ultraseek, which eventually was acquired by Inktomi, then Verity, then Autonomy. In that role Ed was responsible for growing revenues of Infoseek Software / Ultraseek Corporation from the initial deal in 1997 to $25 million annual sales into 2,500+ accounts in over 40 countries. CEO & President, NewsGator Technologies, Inc.
J.B. Holston has run a wide range of technology and media enterprises over the last two decades. As President of Ziff Davis International, Holston managed Ziff Davis’ operations across more than 100 countries, and launched Yahoo! Europe. He was part of the senior management team that led the successful LBO of ZD by Forstmann, Little, and subsequent sale to Softbank. Since selling his last technology start-up, Holston has helped create a wide range of for-profit and not-for-profit entities, including Media-x at Stanford, among several others. After receiving a BA in creative writing from Stanford in 1979, he taught English at Phillips Academy, worked as a consultant for the Boston Consulting Group in Boston, studied and wrote in Paris, France, then worked in strategic planning for NBC and RCA. Holston received his MBA from Stanford in 1986, then worked on Jack Welch’s staff at GE before moving back to NBC where for five years he was responsible for strategic planning and NBC’s international operations. Rob Howard is the vision behind Telligent’s product development and innovation and is known throughout the industry as an authority in community and collaboration software. As Telligent’s Founder and Chief Technology Officer, Howard oversees product development and the company’s technology roadmap. A true pioneer, Howard contributed to the development and adoption of Microsoft’s Web platform technologies, where he helped create and grow the innovative ASP.NET community. In 2004, he continued his vision for customer engagement when he founded Telligent. Howard has worked with customers including Dell, MySpace.com and Microsoft, and he is able to help organizations apply the value of collaborative work to their business. An expert at developing enterprise collaboration software, he has authored several books on the topic of software development and speaks at conferences worldwide on the topics of social computing and software development. Howard is a member of the Lonestar chapter of the Young Presidents’ Organization, and he earned his bachelor’s of business administration from Baylor University. Sophie Hurst is the Director of Product Marketing at SDL, responsible for all their language technology product lines, which help improve the end-to-end process of delivering global content. She speaks 5 languages, is a member of the Chartered Institute of Linguists and during her experience at various IT companies has gained an excellent understanding of the cultural, linguistic and business challenges faced by organizations doing global business. Sagar Kamdar is the Product Manager on the Google Search UI and Ranking team, as well as Google Webmaster Central, the Google suite of products designed for and aimed at helping website owners with search engine optimization. Prior to joining Google in 2007, Sagar was Director of Development for Business Intelligence & Analytics at Oracle. He is a graduate in Electrical Engineering from Cornell. Miles Kehoe is President of New Idea Engineering, a leading enterprise search consultancy. Prior to NIE Miles founded Searchbutton.com, one of the first application service providers for enterprise search. Having extensive stints in enterprise search at Verity and Fulcrum Technologies, Miles brings decades of perspective in enterprise search and information retrieval problems. Prior to that, he worked at Network Innovations and at Hewlett-Packard. Mr. Kehoe received his Bachelor of Arts in psychology from Tulane University and did graduate work in computer science at Purdue University. As CEO of Clay Tablet Technologies, a firm specializing in the automation of translation business processes through a unique connectivity platform, Mr. Kelly has amassed extensive experience in translation processes and the globalization of enterprise-scale content projects. Mr. Kelly co-founded Clay Tablet after extensive analysis of the translation market, underpinned by over 10 years of content management technology experience. Clay Tablet’s unique position at the nexus of content management and translation services gives Mr. Kelly an unprecedented overview of the business, technology and process challenges faced by all stakeholders in the global content value chain. It’s from this unique vantage point that Mr. Kelly provides insight, analysis and commentary on various topics at speaking engagements worldwide. He currently serves on the Board of Directors of the Globalization and Localization Association (GALA). Jeff Kennedy is Engineering Information and Systems Manager at Club Car, Ingersoll Rand in Augusta, Georgia. Club Car, an Ingersoll Rand Company, is a leading manufacturer of golf and utility vehicles. Jeff manages the Technical Publications and Engineering Systems departments, and has devised and/or managed the implementations of world class processes for automated desktop publishing, print on demand, and content management systems. Jeff has been a member of STC (The Society for Technical Communication) since 1999, and PTCUser since 2006. Social Analytics: The Key to ROI in Enterprise Social Software? Rob serves Information & Knowledge Management professionals. He leads Forrester’s research in the areas of basic content management, instant messaging, blogs, and wikis as they relate to enterprise usage, as well as the emerging trend of using Microsoft Office as a front end for line-of-business information and processes. Rob comes to Forrester with many years of experience in enterprise software consulting, product marketing, product management, and strategy. Most recently, he was director of product management with Microsoft, where he played a strategic role with Duet, a joint initiative brought to market with SAP. Prior to Microsoft, Rob was a senior director of product marketing with Oracle, where he was responsible for marketing for Oracle’s content, collaboration, portal, and business intelligence offerings. He also spent 15 years in consulting working for Lotus/IBM and other global software services firms. Rob holds a B.A. in economics from The University of California, Davis. For over 10 years Magus has been helping multinational corporations improve the quality and governance of their global web estates. The Magus ActiveStandards solution is a fully managed website governance platform that automatically monitors websites to expose brand consistency, usability, accessibility and legal issues to web editors and the central management team. As CEO, Simon is responsible for setting the strategic direction of the company, and also has a client-facing role across a number of major accounts. Mary Fletcher Laplante manages Gilbane Group Vendor and Enterprise consulting and services. Mary also contributes to the Globalization Consulting practice and blog at https://gilbane.com/globalization/. She brings broad information technology marketing experience to the task of helping companies introduce new products. Ms. Laplante is a Partner Fastwater LLC, and was the first Executive Director of the industry consortium now known as OASIS (Organization for the Advancement of Structured Information Standards). OASIS provides a forum for the development of open e-business standards, typically built around XML. Before helping in the creation of OASIS, Ms. Laplante developed and managed her own consulting practice providing marketing and technical expertise in publishing-related applications and technologies. She has held executive and senior positions at several publishing software companies; she was President and Chief Operating Officer for Cygnet Publishing Technologies, Incorporated; Vice President of Marketing for Avalanche Development Company; and Vice President and Senior Product Manager at Scribe Systems, Inc. Prior to forming Fastwater, Ms. Laplante was a Director in the Document Software Strategies Group at CAP Ventures, Inc., a strategic consulting and research company that covers the markets for document technologies. Ms. Laplante is a frequent speaker at industry events like The Gilbane Conferences, Internet World, The Seybold Seminars, and the Gartner Group Internet Electronic Commerce conference. Joan is the founder and President of Lasselle-Ramsay, Inc. Since 1982 Lasselle-Ramsay has helped global 1000 companies to get control of their new product or service content and deliver superior customer experience through content infrastructures. Lasselle-Ramsay has worked with over 600 industry leading companies such as Hewlett-Packard, Cisco Systems, Boston Scientific, and Fireman’s Fund Insurance Company. Joan has over 25 years experience developing new product content and training for high tech, healthcare, finance and insurance industries. She is a senior member of STC, a past board member of CMPros, and a regular contributor at industry conferences. Joan serves on the National Leadership Council for Women’s Business Enterprise National Council and teaches technical communications at the University of California Extension. She holds a M.Ed. from the University of Oregon. Scott Liewehr is Lead Analyst and Senior Consultant in Gilbane’s Web Content Management (WCM) practice. He works with enterprise and government agency clients on projects ranging from needs assessments and technology acquisitions to strategy and planning. He also consults with WCM vendors to advise them on industry trends and product roadmaps. As an analyst, Scott contributes to Gilbane Group’s research, focusing on WCM-related topics such as web engagement. He is also the Chair of the Customers & Engagement track at this year’s conference. Scott is a recognized thought leader in the field of content management, speaking, conducting workshops and writing regularly on the subjects of web content management, web 2.0 in the enterprise and user-oriented intranets. He is also the elected President of CM Pros, the international association of content management professionals, and has served on the Board of Directors since 2009. He also serves on the Board of Directors at SLCD, a Pre-K through 12 school for children with autism-spectrum disorders in New York. As the head of Product Management, Bill is responsible for the product roadmap and helps drive product strategy. Along with Matt Tucker, Bill founded Jive Software in 2001 and has helped build the company from just two people to where it is today. Prior to Jive, Bill worked as a software engineer at an internet startup in San Francisco called 4charity. Bill holds a BS in Computer Science from the University of Iowa. Catherine is Director of Information Engineering at NetApp, a supplier of data management and storage systems. She has 21 years in the data storage and management industry. Seventeen of those years have been managing information development and delivery teams, including software developers, DBAs, writers, editors and production teams. She earned a BSE in Mechanical and Aerospace Engineering from Princeton University. Ben Martin is an expert in “write once and reuse” content management strategies and is widely recognized as one of the most knowledgeable authorities in reuse of information across multiple languages. He has led the development of one of the few end-to-end content management processes that enables the simultaneous delivery of information in multiple formats and multiple languages. Ben is currently the Director of Business Architecture for Flatirons Solutions, a consulting firm specializing in XML authoring and CMS implementations. His over 25 years experience in the content industry includes serving as vice president of global content management for J.D. Edwards where he was responsible for the authoring and translation activities for J.D. Edwards products. He has served as a consultant on strategic content projects for such companies as Microsoft and Qwest. Ben holds a Master of Arts degree in Instructional Technology. Ben is co-author of the book Masters of Change, a management book published by Executive Excellence Publishing in 1997. Michael Martyn is the President of Enthink. There, Michael directs a highly skilled team focused on content management supported by strategy, user interface design, personalization, and site optimization. This focus gives clients the strongest resources in the market. Beyond Enthink’s project experience with clients such as Associated Press, Harper Collins, Hachette, Deutsche Bank AG, SolidWorks, SEI, Avid Technologies, Government of Canada, Indiana State, and TransCanada. Enthink has also develop fully integrated suite of modules that enhance CSM platforms such as Taxonomy Manager, SmartForm, Translation Bridge and WorkFlow Manager which includes and mobile interface for both iPhone and Blackberries. As the President, Michael drives Enthink’s customer centric focus; he helps clients create the optimized digital experience required to GET, KEEP, and GROW profitable relationships between organizations and their customers, partners, and employees. Since 1995, Michael has developed and executed Internet based business strategies and has successfully implemented more than 300 Web-based implementations and over 200 CMS Solutions. Scott is currently at Oracle where he works as an Enterprise Architect. He also serves on the Board of Directors of Architecture for Humanity. He previously worked as Chief Architect for Western U.S. Sales at Sun Microsystems. Scott is a recognized contributor to communities involving in Enterprise Architecture, Eco Computing, Open Source Software, and Cloud Computing. He is frequently featured as subject matter expert in public forums and has appeared in various media outlets, including blogtalkradio, fora.tv, and Innovation@Sun. Scott served as Sun’s technical liaison to the TED community. Scott’s career has spanned several leadership positions with companies helping to shape business and society on the Internet including 4charity.com, Live365, Cybersource, and NeXT. Director & Lead Analyst, Outsell Inc. In his capacity as Director & Lead Analyst, Ned May leads Outsell’s analytic coverage and advisory services focused on the Search, Aggregation & Syndication market. His coverage centers on the myriad ways in which digital content is aggregated and consumed. He keeps a keen eye on web search engines and portals, licensed content aggregators, and subscription and syndication service providers, as well as the technology vendors serving these segments. Ned serves as an executive-level advisor and consultant to clients on issues impacting all facets of this market, including the money flows around online advertising, content syndication and copyright, and the delivery platform challenges across the tethered web and mobile devices such as smart phones and e-book readers. on current and emerging trends in information management. Andy began tinkering with the web in the mid-nineties before starting his career at Fibernet Group plc as the company’s European webmaster in 2001. In 2003 Andy helped found KnowledgeCenter, a knowledge management consultancy focused on the London insurance market. During his time at the company he provided web content and knowledge management consultancy to a number of prominent global clients including QBE, Benfield, Catlin, Arthur J Gallagher and Montpelier Re. With more than 10 years of industry experience, Andy is an expert in field of online collaboration and is heavily involved in the London start-up community. In his spare time he enjoys fencing and skiing (both rather badly) but excels at sitting in sunny beer gardens discussing films, music and cool stuff he recently saw online. As Enterprise Search Practice Lead at Avalon Consulting, LLC, Sam Mefford has pioneered the consultancy’s practical implementation of global enterprise search projects, helping organizations smartly manage their digital content while mitigating the risk involved with executing their Enterprise Search strategies. After 4 years and over 50 projects at Avalon, Sam Mefford has become a passionate advocate for efficient meta-data techniques to power better search experiences. Sam is a progressive architect and thought leader when it comes to parlaying enterprise search, navigation, and content intelligence into competitive advantage. His foresight and unique skill in layering intuitive, enhanced user interfaces on top of these platforms has led to increased user acceptance and adoption of the implemented solutions. He combines a deep technical understanding with a keen business sense and unexpected creativity for a powerful learning experience for his listeners. His presentations are passionate, engaging, and driven by his excitement for today’s rapidly evolving technology and his collaboration with today’s most innovative business leaders. Web Applications Developer, Robert Half International, Inc.
Chad Miller’s role entails content management, training, and process automation. Before working at RHI, Chad worked with AT&T and Amdocs. Together Andy and Chad implemented a solution, partnering with Kapow, to automate the migration of RHI’s intranet content from a static platform to a content management system. Managing Director and CEO, Conversis, Inc.
Gary Muddyman is Managing Director and CEO of Conversis. Established in 2003, Conversis is a U.K.-based leading provider of Globalization, Internationalization, Localization and Translation (GILT) services. Muddyman leads the company’s strategic business development and has recently managed the company through a period of substantial growth. Earlier, Muddyman spent 16 years working for HSBC, one of the largest banking and financial services organisations in the world. During his tenure there he led the strategic development of various product, commercial and business development divisions, including international marketing. Muddyman received his MBA from Warwick University. Kevin Nichols of KPN Digital | Interactive has been immersed in digital technologies for over seventeen years. A Harvard graduate, he executed his capabilities in the Sabre Foundation before traveling to Bosnia and Herzegovina, where he was Webmaster for Physicians for Human Rights. He went on to Sapient Corporation as a UX Lead for global brands on Web and CMS projects. Kevin played a key role in launching MIT’s OpenCourseWare project, and as a Senior Consultant at Molecular, he led UX teams for global brands. Today, as an independent consultant, Kevin advises Fortune 100 companies on content and digital strategies. Nosa is the Founder and CEO of Nervana, Inc, a startup based in Bellevue, WA that provides enterprise software for intelligent, semantic, and contextual business analytics and Enterprise Decision Management. Prior to founding Nervana, Nosa spent 6 years at Microsoft Research and Microsoft, where he was a Development Manager, Research Manager and designated Technology Strategist. Nosa has a total of 19 granted patents and 21 pending patents (including 2 granted and 9 pending patents for the “Information Nervous System”, the technology on which Nervana is based). In September 2006, Nosa was named as one of the 100 most influential leaders in the global Life Sciences industry by PharmaVoice magazine. Jeremiah Owyang is a influential thought leader on web strategy, interactive marketing, and social technologies. He is experienced with emerging technologies that stem from the brand side, agency side, and industry analyst perspective. An accomplished speaker, Jeremiah has spoken all over the US as well as Asia and Europe and keynoted at prominent industry conferences. Despite his industry credentials, he lives and breathes the social web and interacts with over 50,000+ Twitter followers, and has earned over 120,000 unique visitors to his blog “Web Strategy”, which focuses on how corporations connect with their customers using web technologies. He was featured in the 2009 “Who’s Who” in the Silicon Valley Business Journal. Previously, Jeremiah was a Senior Analyst at Forrester, focused on social computing for the interactive marketer. Prior to that, was the Director of Corporate Media Strategy at PodTech Network, a podcasting and online video startup. From 2005-2007 Jeremiah held the title of Manager of Global Web Marketing at Hitachi Data Systems and launched the community and blog program. He also served as the Intranet Architect at World Savings (now Wells Fargo) and was a user experience professional at Exodus Communications. Christine Pierpoint is a partner and senior consultant at WelchmanPierpoint, a firm that specializes in Web Operations Management. Throughout her career, Pierpoint has worked with organizations to develop and manage an effective Web presence. In the past fifteen years she’s gained practical insights into all things Web and has first-hand experience implementing strategies in both the private and public sector. These days she can be found breaking down organizational silos and tackling governance and change management issues in the pursuit of aligning Web operations with business objectives. Christine’s client work focuses on maturing Web operations in organizations with sites that span upwards of 100 thousand files including The World Bank, U.S. Environmental Protection and American Society of Civil Engineers. She is also a frequent blogger and speaker on topics related to Web strategy, governance and Web team management. Christine holds a BS in Mass Communications from Virginia Commonwealth University and an MBA in Business Management from Loyola College in Maryland. Daniel W. Rasmus applies 30 years of experience as he helps organizations shape strategy through scenario planning and deep analysis of the uncertainties and dynamics of the business climate. Rasmus is the former Director of Business Insights at Microsoft where he drove dialog with Microsoft’s customers through unique content, social media and presentations. He managed Microsoft’s Information Worker Board of the Future Program, their Center for Information Work and was managing editor of the Microsoft Executive Book Series, which includes his own title, Listening to the Future. Rasmus was awarded several times for his interactions with customers at the Microsoft Executive Briefing Center, including being named a Distinguished Speaker. Prior to joining Microsoft, Rasmus was a Vice President with Forrester Research and the Giga Information Group, with responsibilities that included research management and internal learning. Rasmus speaks internationally on the future of work and the implications for today’s businesses. Hadley Reynolds creates research and thought leadership perspectives and content for IDC, leading market research firm in the information technology industries. His work focuses on understanding business transformation opportunities through the application of search technologies to traditional business models and the role search innovation is playing in creating new business opportunities. In his 30-year career in the software industry, he most recently headed the Centre for Search Innovation at FAST/Microsoft. Prior to creating the Centre, he headed the research practice at Delphi Group for over a decade, with a focus on knowledge management, search, content & collaboration management, and business process automation. Prior to his work at Delphi, he held product management, marketing, and strategy executive roles at Project Software & Development, Inc., a leader in enterprise application software for project management. Brian is the manager for the FAST Technical Solution Professionals for Western US and Western Canada. He works with customers to drive the vision of Enterprise Search for critical line of business applications. Brian has helped customers define and execute their Enterprise Search strategies across a diverse set of industries including Financial Services, Manufacturing, Media & Communications and e-Commerce. As the Founder and Chief Troublemaker at Big Blue Moose, Robert Rose innovates creative and technical marketing solutions for his clients. Rose assembles and manages diverse teams of the best designers, technologists and media optimization specialists, creating successful marketing strategies for both well-known brands and startup businesses alike. Rose is currently a Research Fellow with Coburn Ventures, a community of experts discussing and innovating current trends in Technology and Marketing. He has also served on the Board of Directors of the Software and Information Industry Association (SIIA) Software Division, and is a founding member of the Executive Council on Software-as-a-Service. A recognized expert in digital media and marketing, Rose is a frequent keynote speaker, advising top professionals in the successful strategy of online marketing and Web site management. He’s a guest blogger for the online magazine iMedia Connection and the co-author of the book “Enterprise 2.0: How Technology, E-Commerce and Web 2.0 Are Transforming Business Virtually”. Rose is, and has been, widely quoted in the press, including publications such as Wired, CBS Interactive, KMWorld, Direct Marketing News and BusinessWeek. As the lead of internet services at Edelman, David Rosenberg has developed and implemented SharePoint-based solutions for internal and external sites. David has led the charge to incorporate social media tools, drive user adoption and increase understanding of the importance and relevance of social media tools in the Edelman corporate workplace. Edelman is the world’s largest independent public relations firm with over 50 global offices in over 30 countries. Donna Rossi currently serves as the head of Western Union’s Customer Experience Management (CEM) team. In this role, Donna is responsible for leading the strategy to understand and improve the experience of Western Union customers around the globe. Rossi is based in Englewood, Colo. at Western Union’s global headquarters. Prior to her role with the CEM team, Donna developed strategy and drove consumer loyalty initiatives for Western Union’s global brand team. In addition, she has held a number of roles of increasing responsibility in global operations and marketing at Western Union and former parent company First Data. Before joining First Data, Rossi worked at American Express in the customer service center. Donna, who was raised in Puerto Rico, holds a bachelor of science degree in marketing management from Syracuse University in Syracuse, New York. She serves on the board of Community Resources, Inc. Since its inception as a self-funded start up a 1995, to the multi-million dollar organization it is today, Shannon’s role at non-linear creations (NLC) has been to guide, create, and drive NLC and its impressive list clients through the challenges of the digital domain. From content management to analytics and enterprise search, Shannon balances his effort between client work and the stewardship of NLC. In senior roles before non-linear creations, Shannon raised USD $21.5 million in financing for a software analytics company, and recruited teams of developers from Russia. Fluent in Russia, he also drove sales activities in Siberia for a US based software company in the oil and gas industry. Shannon holds a B.A. in Soviet and Eastern European Studies from Carleton University and a Masters in International Relations from the University of Vienna. Gert-Jan Schikker is Marketing Manager New Media at Voetbal International (VI), a leading publisher and independent authority in soccer information. With his vast experience of new media and internet marketing, he explores, develops and implements new techniques and strategies to expand and grow online business. Gert-Jan started his career in 2001 at YoungDynamic company, an E-Lab for a large financial organization, where he worked for several years on e-marketing and e-business initiatives including e-commerce partnerships and online campaigns, formats and content and E-pilots (smart sms, mobile games, avatar and 3D information). In his current role as Marketing Manager New Media, he is responsible for all online activities (non-print) of VI, delivering great customer experiences to millions of soccer fans through multiple online channels including mobile. Based on a deep understanding of his target audience, he successfully introduced cross media formats and partnerships and e-commerce activities to monetize company’s online initiatives. Gert-Jan has a Master of Science in Marketing from Erasmus University Rotterdam, The Netherlands with emphasis in e-Commerce, Consumer behavior, Sales and Information Management and Advertising. Tom Sheridan has worked at GTI as the IT director for 17 years, and is responsible for all computer-related activities. He is particularly interested in collaboration software and have worked extensively with Lotus Notes and SharePoint. GTI is an international technology solutions provider for the natural gas and energy industries. GTI delivers technology, information and technical services to energy markets through cooperative and proprietary research, development and commercialization. Paul advises Endeca’s customers on how to apply the principles of information visibility to company strategy. Prior to joining Endeca, Paul was a Principal Analyst at Forrester Research, focusing on search technology and user experience. Paul’s research into enterprise search included deep dives into information retrieval theories, technologies, and the competitive strategies of commercial search providers. Paul published numerous reports on these topics and advised hundreds of executives at Global 2000 firms. Andy Striemer is the CMS Product Manager for Robert Half International, Inc.’s Intranet Services team. He is responsible for content management planning, support and training. Prior to coming to RHI he was Digital Technology Coordinator at two major high schools in the SF Bay area. Andrew Thomas is the Global Information Management Evangelist with SDL, Language Technologies Division. Global Information Management helps corporations drive global revenue and reduce cost by using software and services to deliver global content. Mr. Thomas has worked in the localization industry for more than a decade, managing the translations of a wide variety of content, from computer games to printed manuals to web applications. Before joining SDL, Mr. Thomas was a language intelligence solutions manager for Adobe Systems. Todd founded Snowfall Software, the parent company of Snowfall Press in 2000, and Snowfall Press in 2007 – to commercialize next-gen book-printing software he had developed at Snowfall Software. He is CEO and chief systems and software strategist for Snowfall Press. Prior to Snowfall, he spent a decade at Sabre Decision Technologies, a division of American Airlines, where he architected and developed mission-critical logistics software systems for clients such as Toyota, Roadway Express, Kraft Foods, and Georgia-Pacific. Todd holds a B.S. and M.S. in Industrial Engineering from the University of Oklahoma. He lives with his family in the foothills of the Rockies – near Colorado Springs, Colorado. Rick Treitman is an Adobe Systems Entrepreneur in Residence (EIR) and Director of Product Marketing and Business Development for Acrobat.com and is the Founder and former CEO of Virtual Ubiquity – the creator of Buzzword. In his role as EIR, Treitman is responsible for Acrobat.com, a set of online services built around document collaboration to include file sharing and storage, PDF converter, online word processor, and web conferencing. Rick is based in the Boston area and is site leader for Adobe’s Boston office. Rick has been in the high tech field for over 30 years. He founded Virtual Ubiquity in 2005 on the belief that web-based applications will create new channels of collaboration and that a great word processor had yet to be built. Adobe acquired Virtual Ubiquity in November of 2007. Before founding Virtual Ubiquity, Treitman was President and co-owner of Softpro Books, one of the country’s leading computer and technical bookstores. For 15 years it was a mainstay resource for IT professionals, programmers and system designers in the Boston area. Prior to Softpro Books, Rick held several management positions at Lotus Development Corporation and Polaroid and held marketing positions at International Data Corporation and Electronics for Medicine. Rick started his professional career teaching English and Media at the high school level. Bill Trippe is a Senior Analyst at the Gilbane Group, and President of New Millennium Publishing, a Boston-based consulting practice formed in 1997. Bill has more than 20 years of technical and management experience in content management, XML, and related technologies. He specializes in large-scale applications of content management technology, working with publishers who are typically converting extensive legacy databases and systems into more contemporary, open technology. He brings a unique blend of strategic and hands-on knowledge of the products and trends that are shaping the publishing and content technology marketplace. 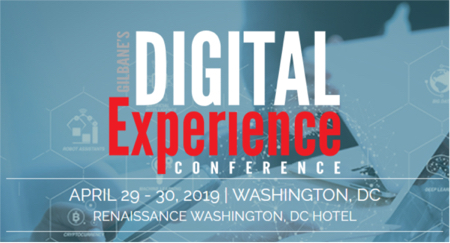 At The Gilbane Group, Bill covers trends and technologies in the content management industry and develops conferences and tutorials on XML and content management. He is a sought-after speaker and author in the XML field, and is the XML columnist for Transform, a Consulting Associate with the consulting and market research firm CAP Ventures, and a regular contributor to the magazine, EContent. 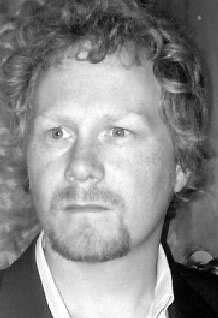 Ian Truscott is a Senior Analyst based in London, serving our European and global customers and focusing on Web Content Management. Ian has over fifteen years of enterprise software experience, over a decade of which focusing on WCM. Ian has a strong understanding of the vendor community, having come to us from Alterian, where he was VP, WCM Product Strategy for Alterian (a web content management and marketing campaign management vendor), having previously held CTO and senior product marketing positions at Mediasurface after starting his WCM career with Vignette. Ian is active in the CMS community, he serves on the board of CMPros – the Content Management Professionals Association – is a blogger, is on twitter, and is a frequent public speaker, talking at various industry events and seminars. Swamy is responsible for the go to market strategy for all of Language Weavers product initiatives; including strategy, product management, and marketing. Prior to Language Weaver, Swamy was the co-founder of Qlip Media, a browser based multi-media and video collaboration application. Prior to that, Swamy’s was part of the team that helped grow Vignette and Claremont Technology from early-stage startups to becoming public companies. He started his career with the management consulting division of Arthur Andersen, now Accenture. He has a Masters in Computer Applications from the National Institute of Technology in India. As vice president and general manager of Adobe LiveCycle, Vora is responsible for all aspects of Adobe’s integrated, enterprise software suite. Vora drives research and development for the LiveCycle suite as well as product management and strategy, and product marketing. Vora has been involved with LiveCycle since its inception and was instrumental in the acquisition Adobe made in 2002 that provided the technical foundation for the product. Vora came to Adobe in 2001 from Oblix, an eBusiness security infrastructure company he co-founded in 1996. At Oblix, he served as vice president of technology. Vora oversaw all aspects of product development for Oblix’s multi-platform, enterprise-class server solutions. Prior to Oblix, Vora held numerous software engineering and managerial positions at Apple, HP and SGI on a variety of networking and Internet-based products. Vora holds a Bachelor’s degree in computer science from the Indian Institute of Technology in Bombay. He earned a Master’s degree in computer science from the University of Wisconsin. Dale has lead XML and Web development for 25+ years in a variety of publishing organizations, including legal and regulatory, legislative publishing, pharma, tech doc and commercial publishing. Dale was previously VP Product Systems Development at RIA, the tax publishing division of the Thomson Corporation. Dale spent several years as a industry standards consultant for OASIS, was a developer for the IRS, co-authored the SGML Implementation Guide (Springer 1995) and has taught, written and spoken around the world on XML and related technologies. Dale has a BS in Publishing Technology from RIT and completed Columbia Business Schools Executive Development Program. Dale Weideman, solution consultant and account executive at Satmetrix Systems, has been helping large and medium-sized businesses structure and adopt highly operational customer satisfaction and loyalty programs – almost entirely using and operational Net Promoter approach – for the past six years. Some of the companies Dale has worked with include Qwest, Ingenix, JDSU, Limelight Networks, WesCorp, Genesys Labs, America First Credit Union, AIG, Fireman’s Fund, Boeing, 21st Century Insurance, Cardiac Science, and Charles Schwab. Dale is passionate about helping companies structure the right mechanisms to build customer feedback into their core operational processes, so customer feedback becomes customer dialog that drives loyalty and has a significant positive impact on customer retention and customer referral behavior. in the area of information governance. North Carolina and was a Philosophy Fellow at Columbia University. As the lead developer of Business Insider, a business news and analysis site serving roughly a million pageviews a day, Ian White designed the first custom content management system powered by MongoDB. MongoDB is an open-source, document-oriented NoSQL database that is changing the face of web development. Prior to Business Insider, Ian led technical teams at Music Nation and Money-Media. Ian is an advocate for open-source software and rapid development, a Boston sports fan, and a Computer Science graduate of Brown University. Providing the creative vision for Socialcast and its technology, Timothy brings nearly a decade of web development experience and over 8 years of entrepreneurship to the company. Timothy’s interests include emergent processes and behaviors, flock theory, connectionism, and collective intelligence, all of which are integrated into the Socialcast product. Currently, Tim’s focus is on Enterprise Activity Streams, exception management, communication in the workplace, and tying all of these into operating metrics. He regularly speaks about social networking and collaboration at industry conferences and has guest taught at the University of California, Irvine’s MBA program. Tim’s other companies include Event Robot, a prior venture focused on consumer social networking for the entertainment industry, and “Pumpkinhead,” a stealth-mode startup launching in 2010. Randy Ziegler has over 20 years of experience in software marketing, sales, development, support and channel enablement. As Sr. Director, Digital Strategy & Engagement at EMC, Randy is focused on developing and executing a strategy that will transform the company’s digital presence. Pioneering meaningful engagement with customers, prospects and partners through application of social networking tools, Randy established the EMC Community Network (ECN) and has been instrumental implementing enterprise Wiki technology for internal use as well as converging the use of internal social and collaboration tools with the customer-focused ECN. Driving the implementation of partner and customer developer programs across EMC has also been a passion of Randy’s, and this ecosystem is now key to EMC’s journey to the Private Cloud. Prior to his work with EMC, Randy played significant roles with Documentum, FileNet, SEI and Wang Laboratories. Randy holds an MBA from the University of Dallas and a Bachelors degree in Information Systems from the University of Texas at Arlington. Richard Zwicky is Founder and President of Enquisite, Inc. Widely regarded as a leader and visionary in the search marketing industry, he experienced first-hand the challenges of a Search Marketer in his prior role as Founder and CEO of the award-winning search marketing agency, Metamend, which was widely recognized for its geolocation and phraseology technology, along with its context sensitive search technologies. He used his experiences and knowledge of market requirements to develop Enquisite’s suite of SaaS products. A graduate of McGill University, Zwicky is a sought after speaker and regularly shares his expertise on all aspects of search marketing and analytics with audiences worldwide.